!! OMG, here’s your first look at the Margot Robbie reprising her role as Harley Quinn !! 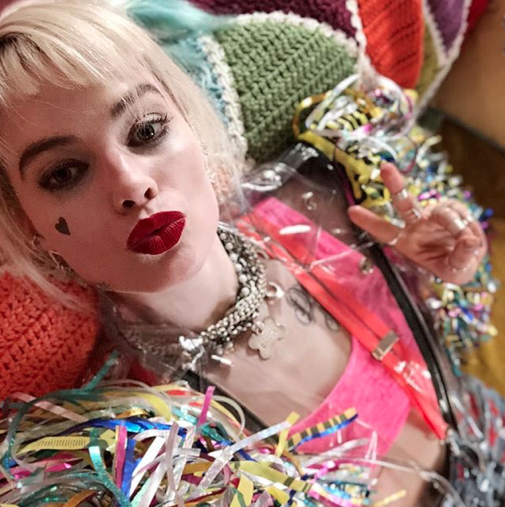 DC Comics and Warner Bros. recently dropped a new teaser for Birds of Prey (And the Fantabulous Emancipation of One Harley Quinn). Margot Robbie revealed her Hot Topic-y new look for Harley via Instagram while a short, slapped together teaser is available after the jump! Thoughts!? Are you excited for the next instalment? 1 Comment on "OMG, here’s your first look at the Margot Robbie reprising her role as Harley Quinn"
I can’t understand why such a talented woman wastes her time on bad DC movies. Well, other than the paycheck. But seriously, she’s one of the leading women right now in movies and could prob have her pick of roles.